It is the new superfood which has its roots in ancient times.It is produced from wild olive trees of the land in Aitoloakarnania( West Greece ). 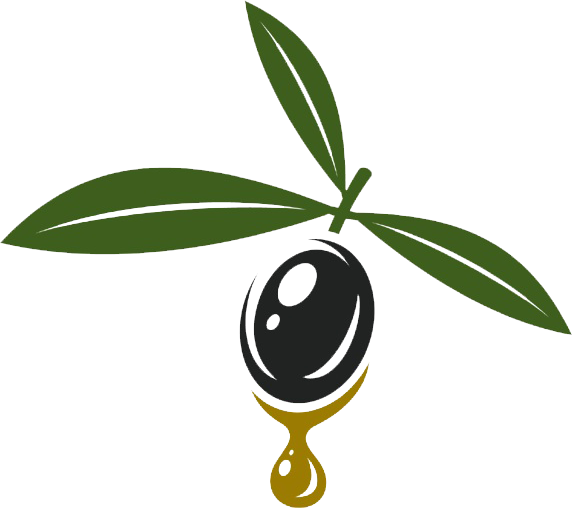 The pharmaceutical substances that are contained in wild olive oil have anti-inflammatory, antioxidant, cardioprotective and neuroprotective capacities, and recent studies have shown impressive results as far as its action to prevent diseases like Alzheimer is concerned, the reduction of bad cholesterol, the prevention of cardiovascular illness, the prevention of cancer, the reduction of indigestion, the development of central nervous system and cerebral cells, health for skin and hair due to antioxidation of cells and many vitamins, reduction of blood pressure , it affects positively on the proper growth of children, it delays aging of cells,it helps against disorders of digestive system and metabolism, it is a supplement of high nutritional value of breast milk, it contains lubricant vitamins, it helps against insect bites , it has been used since Hippocrates era as an excellent cosmetic and many other uses, that you can read from doctors all around the world. The harvest is especially difficult due to small size and sparse development of fruit, they give small amounts of olive-oil, it is not damaged by the disease affecting olive trees and it does not need any care. Cold pressing-out wild olive-oil distinguishes from the scent, the colour and the flavour. Its acidity is especially low, always below 0,2%. It is rich in sterols ( mainly b-sitosterole ) and in fatty acids, mainly oleic acid ( omega 9 ), linolenic acid ( omega 6 ). The content of wild olive-oil in antioxidant substances, such as tocopherols ( vitamin E ), vitamin C, carotenoids ( b-carotene, xanthophyll ), phenols and polyphenols is very characteristic. Also, the wild olive-fruit contains a large amount in oleoprotein, oleocanthal and oleocine , polyphenols that exist in bitter fruit of wild olive-fruit and they give valuable antioxidant capacities to our health. Next, there is the cold pressing out process without adding water. 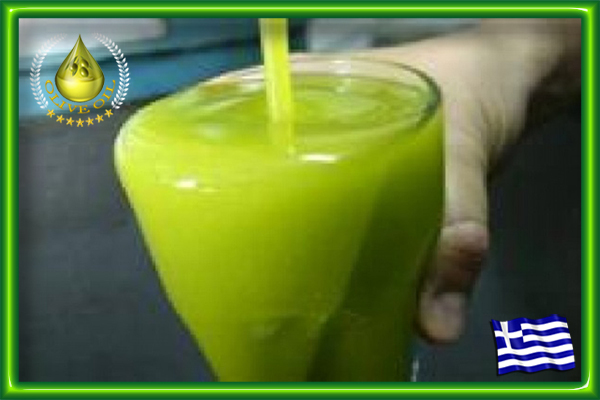 This process increases the cost of production and it decreases the amount of olive-oil per kilo of fruit. The stage of pressing out is done within the day, without adding temperature because it destroys the ingredients, it is not filtered but a process of natural sedimentation is used. The acidity varies from 0,1% to 0,2%. The flavour is bitter notably spicy with pleasant scent. A totally impressive, unique and natural product with a golden green colour and limited quantity of olive oil production. However, it gives us the ability to provide you with a product of high quality and low acidity which has preserved all the quality and chemical substances, like the health protective polyphenols. Beneficial for our health, 8ml ( a tablespoon per day ) for the prevention fron a lot of diseases. Ideal for salads, boiled vegetables, grilled vegetables, grilled meat. – due to the action of vitamin E, it protects the human body from solar radiation and it soothes the pain from insect bites. The daily consumption should be a tablespoon 8ml raw, every day on an empty stomach. From ancient times, olive oil from wild olive trees, which was considered to be therapeutic for medicine, was connected to well being. 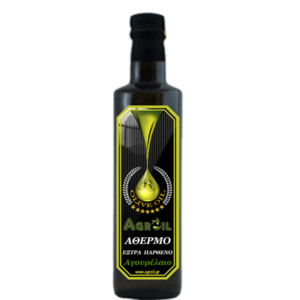 Inseparable part of Mediterranean diet , it was considered to be source of health and longevity by the ancient Greeks and Romans, the best in quality. Due to the difficulty and particularity of its production and due to its small quantity, they used to use it for the preparation of ornamental and therapeutical essences and ointments.